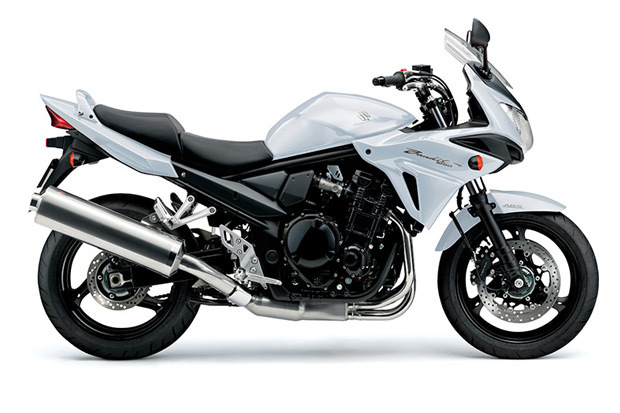 The Suzuki Bandit has won the respect and admiration of riders around the globe with its unmatched quality, wide power spread, and exceptional balance of performance, technology, and style. The new Bandit 1250S ABS refines its styling with a sculpted half-fairing that wraps around the radiator sides and is vented just below the headlight. In addition to sharpening the Bandit’s looks, the fairing improves aerodynamics providing riders with great wind protection and riding comfort. The Bandit 1250S ABS is equipped with digital ABS and monitors wheel speed, matching stopping power to available traction. It comes with fully floating 310mm-diameter dual front brake discs with 4 piston calipers and a 240mm diameter rear disc brake with a single piston caliper.